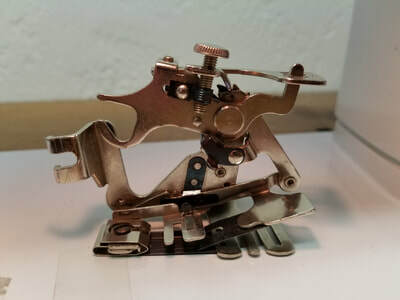 I don't know everything about vintage sewing machines. It's true. Dad and I have bought and sold so many machines over the past eight years that it's easy to think we've seen it all. 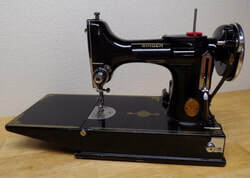 But the more you learn about sewing machines, the more you realize how much more there is to learn. Allow me to share a couple of recent discoveries. Over the years we've accumulated a lot of miscellaneous sewing machine parts, accessories, and notions. In a box of odds and ends I found the round black thing-a-ma-jig pictured above. 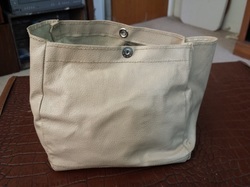 I didn't know what it was, but it didn't appear to be sewing related, so I tossed it into a bulk lot of notions and craft supplies to list on eBay. Later that evening, I was reading a post on a Facebook Vintage Sewing Machine group and suddenly a light bulb went off. 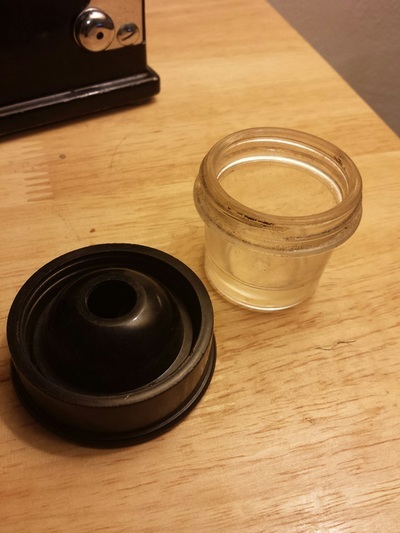 Another member had the exact same black object and wondered what it was. It was quickly identified by other members and that's when I realized what we had. 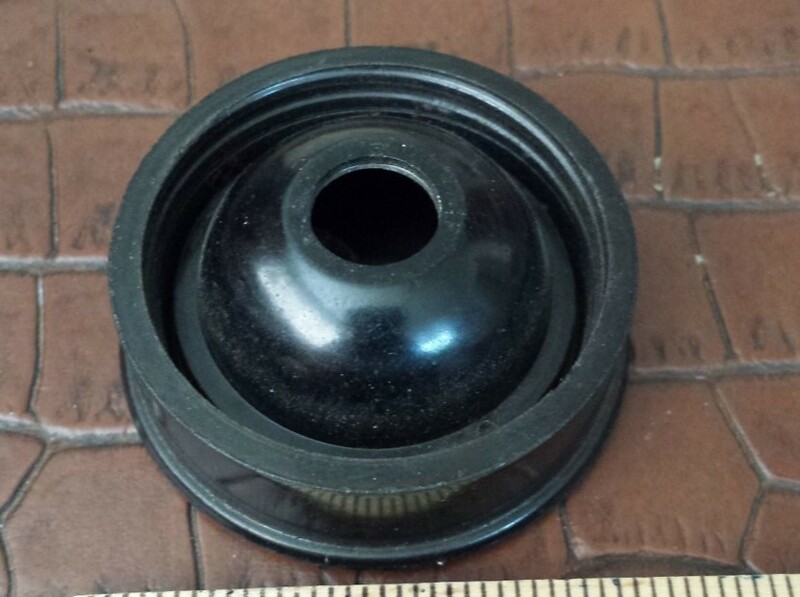 We had the top of a sewing cabinet accessory! Coincidentally we had just acquired the other half a few days before. 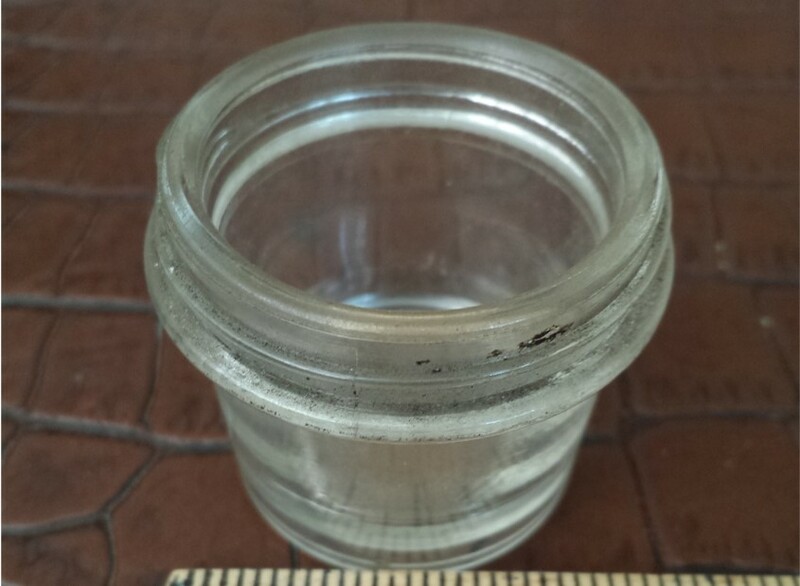 It was the little glass jar pictured here. So what is it, you ask? See for yourself! 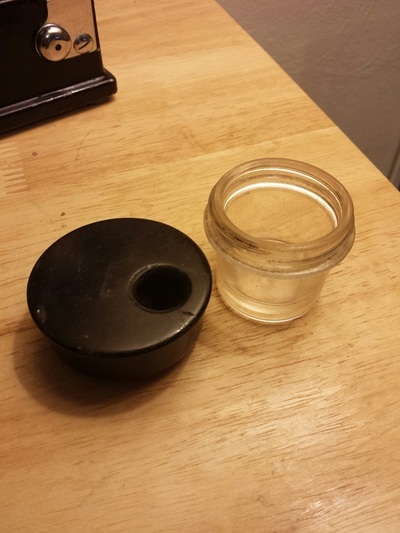 That's right, it's an inkwell from a Singer #42 Art Deco-style sewing machine cabinet. 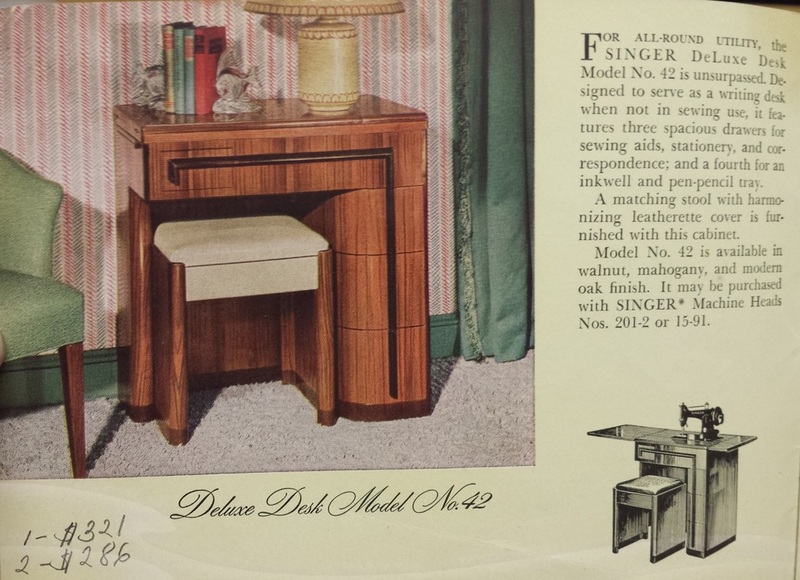 I already knew from an old Singer catalog that some cabinets originally came with an inkwell. I also knew that the recently acquired little glass jar was the bottom half of an inkwell, but I didn't know what the top half looked like. Until now. 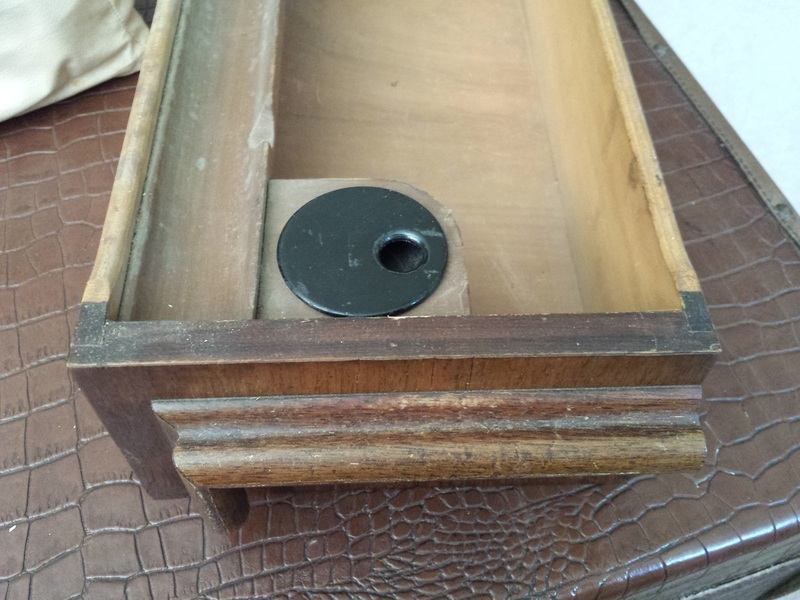 Mystery solved, thanks to the online vintage sewing machine community! ​So I'm not an expert on sewing machine cabinets. But I do know my 401's. Or so I thought until this next item turned up. We've bought and sold more than thirty 401A machines over the years and I thought we'd seen every conceivable ​combination of accessories, cabinets, and carrying cases. We've also seen how machine owners have re-purposed household items into sewing tools. Some pretty strange stuff turns up in sewing machine cabinet drawers! Our most recent 401A acquisition came with an unmarked vinyl bag with the foot control and power cord coiled up inside. 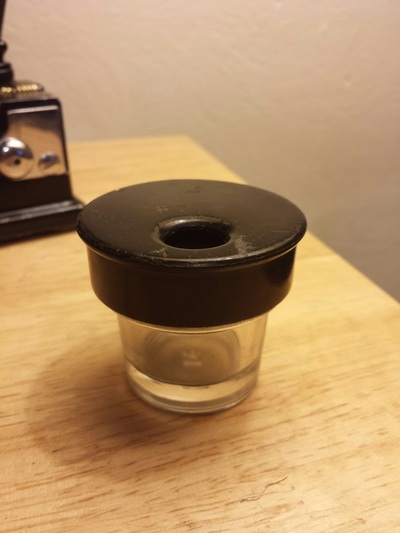 I'd never seen one before and concluded it was one of those repurposed items. So I chucked it in the rubbish bin under my work table. A couple days later, a fellow VSM group member shared her recent 401A purchase...and there was the same little baggie for the foot control. 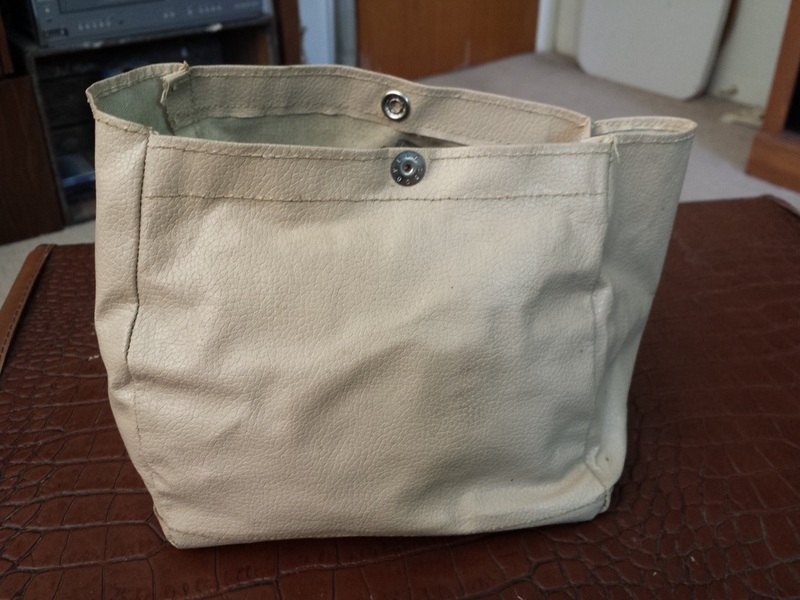 So I fished the little bag out of the trash, dusted it (and my pride) off, and put it back with the machine. 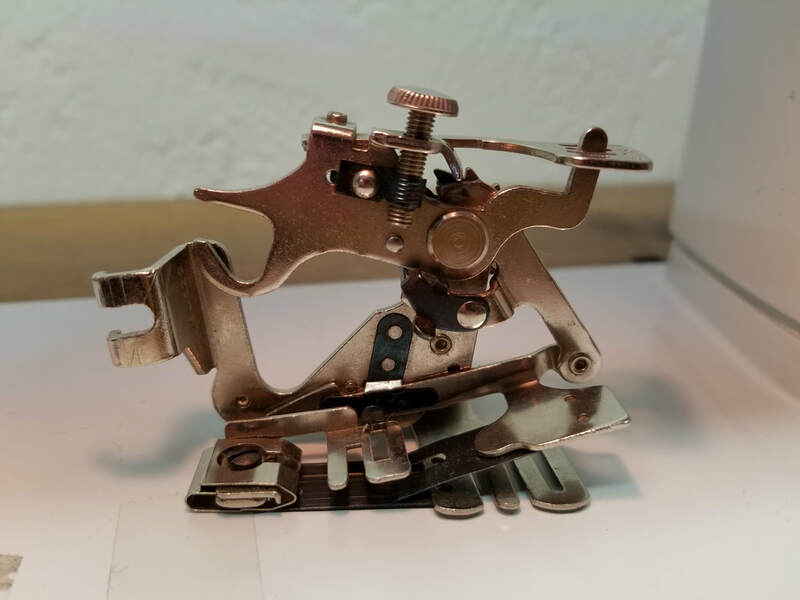 Which just goes to show that vintage sewing machines can always surprise us, no matter how many years we've collected and studied them. Drat...I can never throw, sell, or give away anything ever again. It might turn out to be something useful. 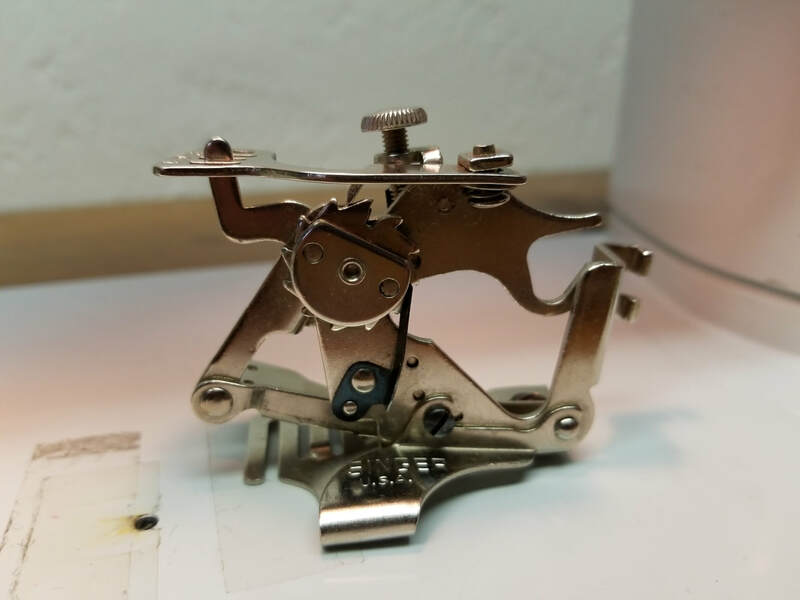 My personal 221 Featherweight finally has a 301 Slant Needle "Big Sister!" However, by the dates their relationship might be better described as Mother and Daughter. Let's take a closer look at the Featherweight. This particular machine came to me from one of my mother's closest friends. She can't sew anymore due to her eyesight, but she knew how much we loved these old machines so she gifted it to us. 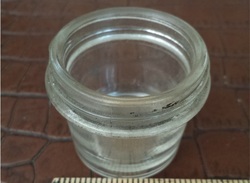 It's a lovely little thing and it turns out it's one of the earliest 221 Featherweights produced! How do we know? The serial number stamped in the bottom of the machine is AD542703. According to Singer's records, the first batch of 10,000 serial numbers for model 221 was allocated on October 3, 1933, starting with #AD541546 and ending with #AD551545. The next batch of Featherweight serial numbers were issued on September 10, 1934, which solidly dates this machine to 1933-1934, making it the 1157th Featherweight produced. These early Featherweights had the bobbin-winder tension mounted on the front of the machine below the sewing platform. 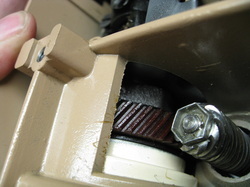 The tensioner was moved to the sewing platform surface within a couple of years to allow the machine to be used in a card table or cabinet. Featherweights are prized for their size, light weight portability and surprising power. Not to mention, they're pretty dang cute! 18 years after the introduction of the 221 Featherweight, Singer hit another home run with the launch of the 301 Slant Needle. The 301 shares a number of features with the 221 which have earned it the nicknames "Featherweight Big Sister" and "Full-Size Featherweight." Like the 221, the 201 is made of light weight aluminum with a flip-up extension table for access to the bobbin compartment. 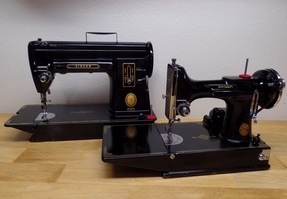 Both machines use the same bobbin case (Simanco Part Number 45750) and bobbins. 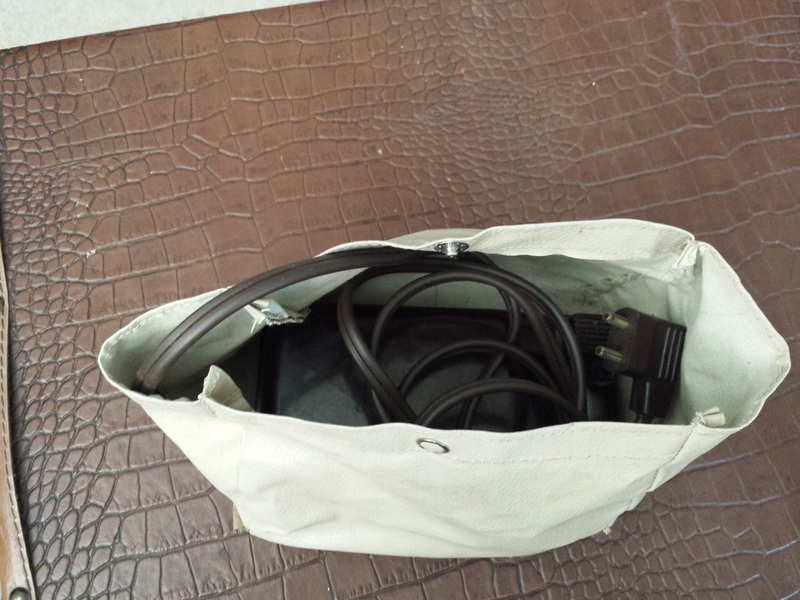 The 301 has a built-in carry handle for portability. However, the two machines are vastly different in size and power. The 301's full size is combined with a direct-drive motor and steel gears, while the 221 is half-size with a belt drive. Both machines pack a punch when it comes to tough projects. So while the 301 is a "big sister" in size, this particular machine is about 19 years junior in age. Serial Number NA039596 was allocated in 1951, but according to Singer301.com's excellent charts, this machine dates to 1952. Hope you've enjoyed learning a little more about these fabulous machines. For more about the 301, see the articles "Got Steel? Singer 301 - the Featherweight'sBig Sister" and "Rock-a-Bye Baby: Singer 301 Cabinet Cradle". The Singer 401A is legendary for its durability and power. Like the old Timex, it can take a lickin' and keep on stitchin.' After all, it has steel gears, doesn't it? Yes, the 401A is famous for it's Made in the USA steel gears, but did you know that the 401A has ONE gear that is NOT steel? In fact, the gear in question isn't even metal. "Say it ain't so, Joe..."
The 401A is often touted as an "all metal" or "all steel" sewing machine, but neither description is strictly accurate. The 401A machine head is cast aluminum, which is lighter-weight than the earlier cast iron straight-stitch machines. The 401A's casting is heavier than the Featherweight 221 or 301, but it's still aluminum. Inside the 401A, the needle bar, cam-stack, cam followers, hook, and driving gears are nearly all steel parts. It may not be steel, but whatever the stuff is, it stands the test of time, because you never hear of this gear stripping, breaking, or cracking. Unlike the plastic and nylon gears that Singer used on later models, this substance just quietly does its job year after year after year. So now you know the 401A's dirty little secret. It's not "all steel" and it isn't even "all metal. But it is still unquestionably one of the finest Singer sewing machines ever built. Updated 12/13/14: Thank you to members of the Vintage Sewing Machine Facebook group for prompting further research into Textolite, which led to revisions of this article! 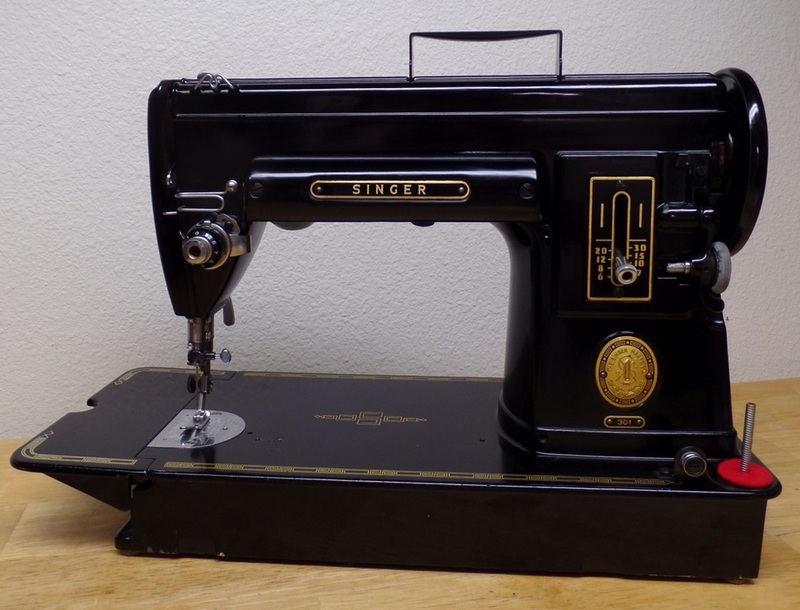 Vintage Sewing Machine prices are a hot topic. 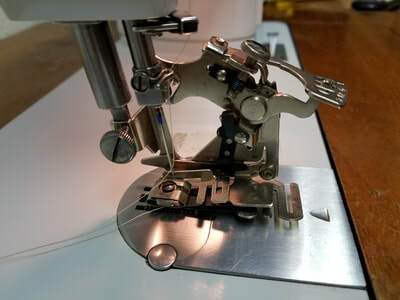 The price of machines is a hot topic on vintage sewing machine forums. Members frequently lament how much they have to pay today compared to a few years ago. 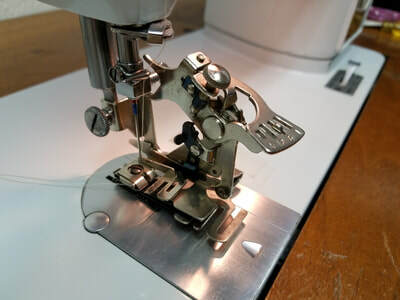 For collectors, bargain hunters, and resellers alike, the increase in popularity of vintage sewing machines and the resulting increase in price can be a source of aggravation. This is mainly due to what I call "eBay-itis." The Average Joe wants to sell Grandma's sewing machine and he's thinking of asking $50. But first he checks eBay and sees that one "just like it" sold for $500. Therefore, Average Joe concludes his must be worth $500 too. So he posts it on Craigslist for a "bargain" price of $300. Because of this phenomenon, vintage sewing machines that sold for $25 a few years ago are now upwards of $150, even at garage sales! But are they really worth that much more? Not necessarily. There are several factors that should be considered when setting the asking price for a machine and I'll discuss those in detail in a future article. For now, we'll discuss the difference between "as-is" and "retail value. "As-is" value is what the machine is worth when it's pulled out of Grandma's attic without any servicing or testing. On the other hand, "retail" value is what the same machine is worth after it has been serviced, tested, and presented in the marketplace. Retail selling price is a reflection of the time and effort that has gone into preparing the machine for sale. This includes servicing, adjusting, repairing, and testing to ensure the machine is "ready to sew, right out of the box." Which means when OldSewinGear sells a machine for top dollar, we aren't just selling the machine. We are also selling peace of mind. The buyer knows they won't have to turn around and pay a repair shop to service a dirty or broken machine. Therein lies the difference between "as-is" and "retail" values. For the collector or sewer who doesn't mind (or even enjoys) doing their own cleaning, adjusting, and repairing, the prices we ask for our machines may seem ridiculous. So they're not likely to buy a machine from us. 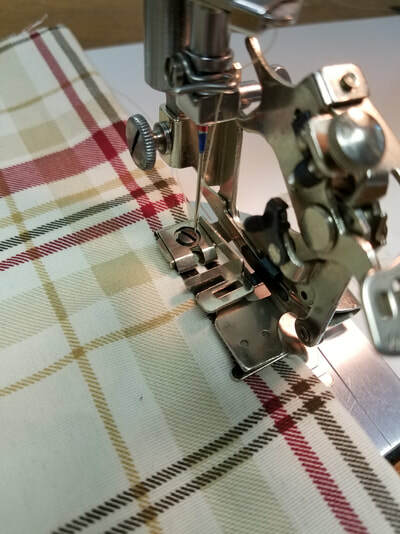 Our customer is more likely the person who wants the joy of owning a vintage sewing machine but doesn't want to do their own servicing. They just want to open the box and get on with their project. So we've already done the work for them. 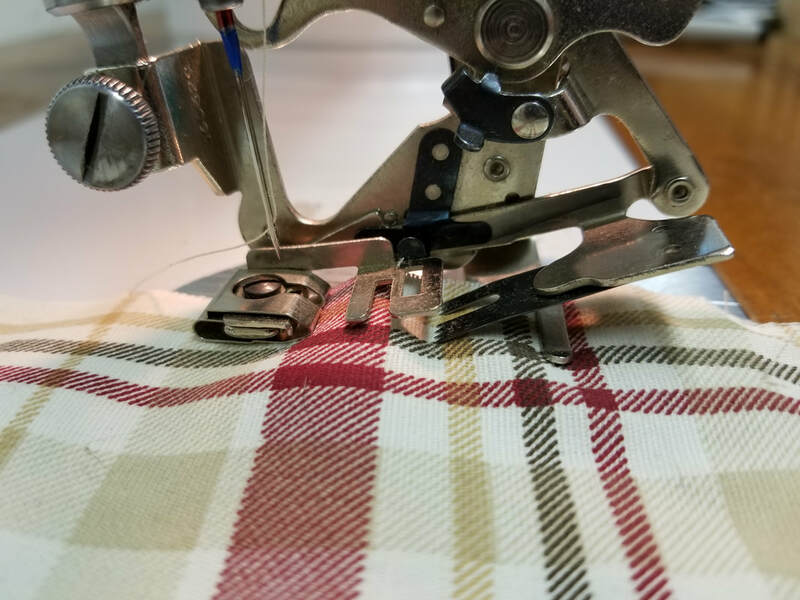 Unfortunately, the top dollar selling price for a fully serviced machine in excellent condition, with a complete set of accessories is what Average Joe sees when he goes looking for the value of Grandma's sewing machine. Which brings us back to "eBay-itis." What's the cure? The cure is for buyers and sellers alike to educate themselves about the condition, completeness, and service history of the machines in question. 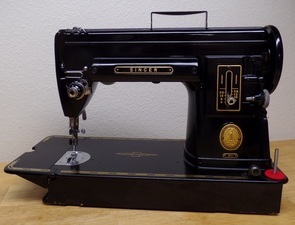 A future article will discuss specific aspects of appraising the potential selling value of a vintage sewing machine.